Reviewing Authority's Recommendations: There was no evidence to indicate that any of these beatings were given under the orders of a superior; most of the beatins appeared to be the consequence of the whim and caprice of the accused. 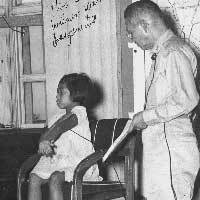 However, two or three of them were patently intended to punish for violations of Japanese Army rules which may or may not have been known to the victim. Judge Advocate's Recommendations: First case where defendant plead GUILTY to all charges and did not present a defense. Judge advocate, using prosecution's evidence, makes bald statement about beatings being whim of the accused. Was it?